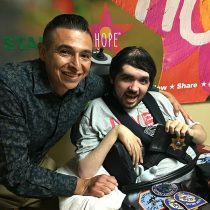 Meet our Ambassador of Hope, Mikey Ragusa. MIkey, his friends and family have created Stars of HOPE that have gone all around the world. To quote Mikey, “I have made a plethora of stars”. 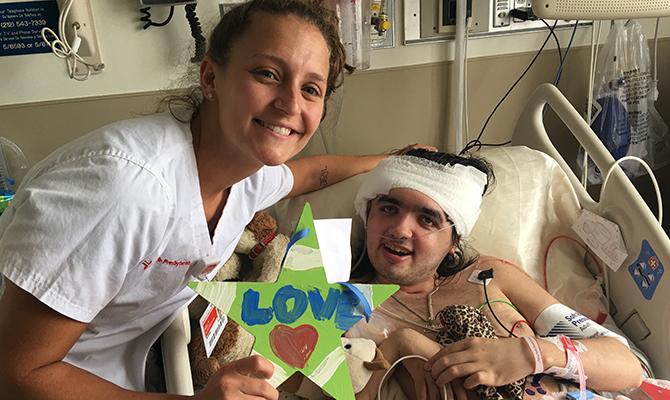 When Stars of HOPE went to Nepal, Mikey’s was the first star handed out in Katmandu. His stars were shared with the children in Omo Valley Orphanage in Ethiopia. Each year, Mikey’s mom throws a Stars of HOPE birthday party. First responders from their community come out to create stars. Mikey’s stars have gone to Joplin, Greensburg, Las Vegas, and Puerto Rico and have been delivered into the hands of a mother who lost her daughter from Pulse night club. Mikey inspires us each and everyday and shows the world the importance of helping others no matter what we may be going through ourselves. Everybody needs hope, it makes the world go stronger.